Tipova cave monastery is located onto the rocky shore of the Nistru river. 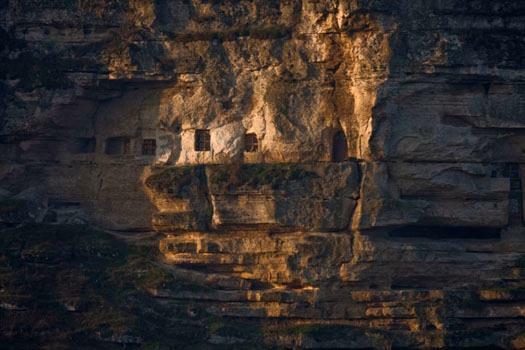 This Orthodox cave monastery is the largest not only in Moldova, but also in all Eastern Europe. The monastic community of the cloister formed here much earlier than the Moldovan Feudal Principality. Some cells are considered to have been caved in a steep rock already in X-XII century. Another part of monastic premises dates back to XVII – the turn to XVIII centuries, when the Turkish yoke was thrown down and the monks settled closer to the mount top. This is the period that saw construction of a new church inside the rock, a belfry, 15 cells, refectory and many household premises linked by multiple galleries and stair passages. Since 1776 the monastery saw its blossom and expansion. The cave church was divided into larger premises parted one from another by massive columns. According to beliefs, Moldovan Ruler Stefan cel Mare got married to Maria Voichita in this monastery, while another legend reads that these rocks witnessed the last days of Mythical poet Orpheus, whose relics were buried in the niche of a canyon’s cascades. 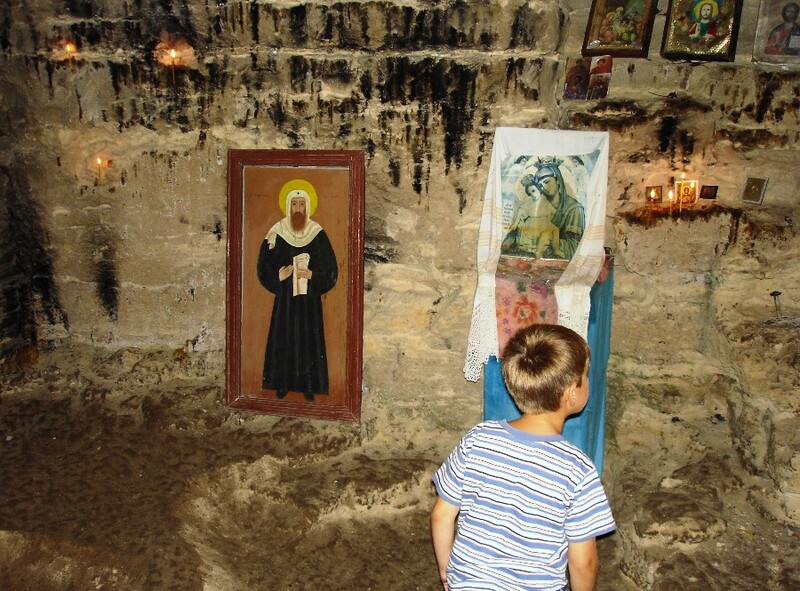 The cave monastery in Saharna settlement was established approximately in XII-XV centuries. The nature of the place is divine. Should one come down from the cave monastery along the path, you will get the waterfall with crystal clean water. Closer to the cave cloister there streams a powerful spring, the waters of which are considered healing. The monks residing in the cave monastery established a ground cloister. Atop a rock there is a footprint left by the Theotokos. The legend says that a monk from the monastery once saw the shining figure of Saint Maria on the top of a rock. When reaching that spot the monk saw a mark of a footprint on the ground. This vision was considered to be a divine announcement and evidence of the holy purity of this place. Later, in 1777, closer to the canyon the monks built a new wooden church and founded the monastery “Saint Trinity”. At the moment, this is one of the most popular monasteries in Moldova. 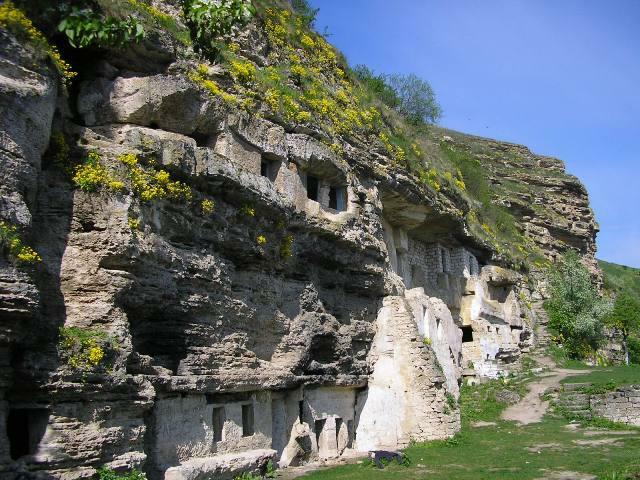 In Butuceni settlement, which is included into the historical-cultural museum complex Old Orhei, there is a unique monastery inside a rock over the Reut river. The walls of the monastery are always cool, even when it is hot outside. Recently the monastery was reconstructed; the handrails and wooden entrance door have been installed. A church was established inside the cloister to see burning candles and crowds of people. From the church one may come out to a rock terrace to admire the picturesque scenery. It is arguable when exactly the cave monastery appeared. Some scientists allege that the monastic life was led here since XII century, while others refer the foundation to XV century. The monastery was discovered in 1821, when the residents of Butuceni settlement cut a 20-metre corridor in the rock and found themselves inside a church. The cloister was revived: a belfry was erected above the entrance, which at present indicates the position of the church beneath the earth inside the rock. Image | This entry was posted in Religious tourism and tagged Butuceni, Moldova, monastery, Saharna, Tipova. Bookmark the permalink.